When in Manila, I once had a dream. I dreamed about a haven full of delectable sweet cheesecakes, Nutella cupcakes and crunchy-chunky-munchy oatmeal bars. I caught myself overflowing with joy as I rode a chocochip-studded bus and went around a village landlocked by two rivers flowing with milk and vanilla syrup. Suddenly, I was on cloud nine when I found this jar full of sweet stuff. I opened the lid and started frolicking through all of the new-found, palm-sized chocolate cookies. In a snap, though, everything just ended. Sadly, it was just a dream. For the past days, I’ve been living with this impossible dream. I’ve been imagining myself drooling over that imaginary sweet jar over and over again. Until one day, I actually found what I was craving for. 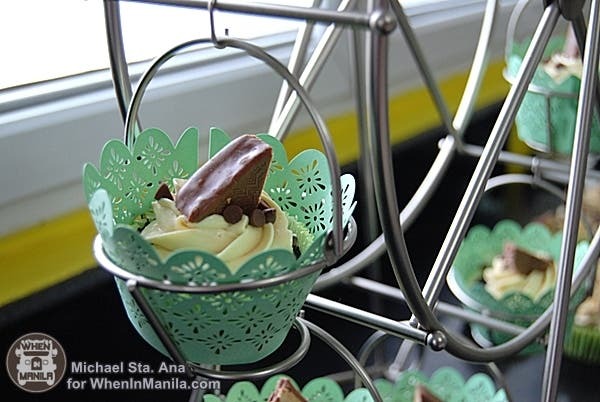 The Sweet Jar in Manila – Now Found! 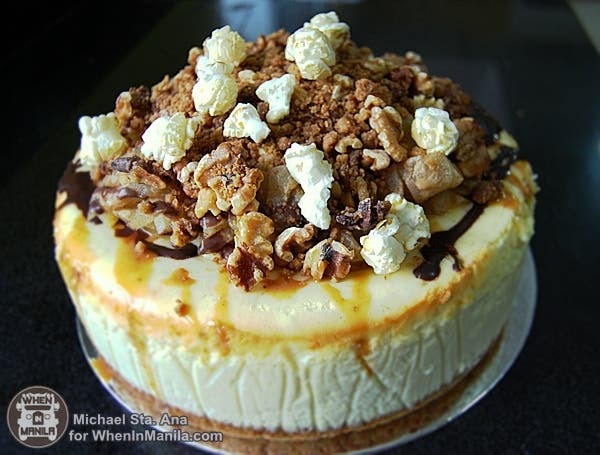 Having a sweet tooth, my search for the finest and most mouthwatering sweets, cakes and bars around the metro seems to be unstoppable… until I saw a photo of this yummy, cheese-infused round cake dominating my Facebook feeds, that is. I noticed how many people ‘liked’ it so, without another thought, I checked out the post and found out that it’s from The Sweet Jar. I was suddenly convinced then—this must be it! These positive reviews from their customers pushed me further to go and try it out myself. To satisfy my insatiable ‘sweet’ curiosity, I ended up contacting them for a visit to see how these heaven-sent goodness are baked and designed. 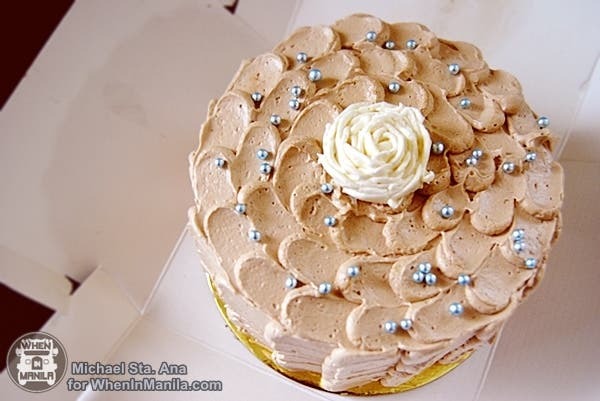 They are home-based and currently doing all the baking inside an exclusive village in Quezon City. Unlike others, they don’t have a bakeshop yet where you can see a display of their products on the facade (though they are planning to build one soon). Instead, they simply work once someone makes an order online or by phone and then deliver the requests right at each person’s doorstep. 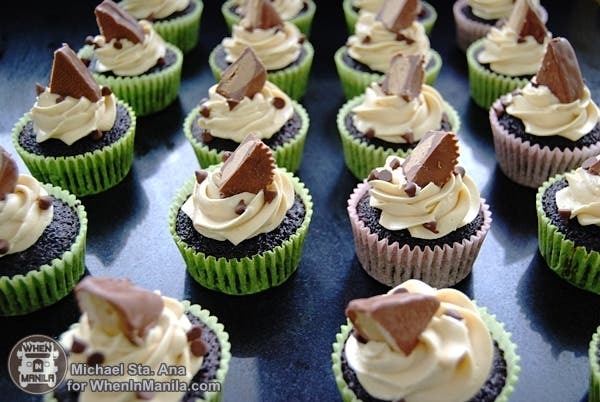 Reese’s Peanut Butter and Jelly cupcake – Here’s a closer look! The Sweet Jar is owned by two young sisters who started all of this sweetness. 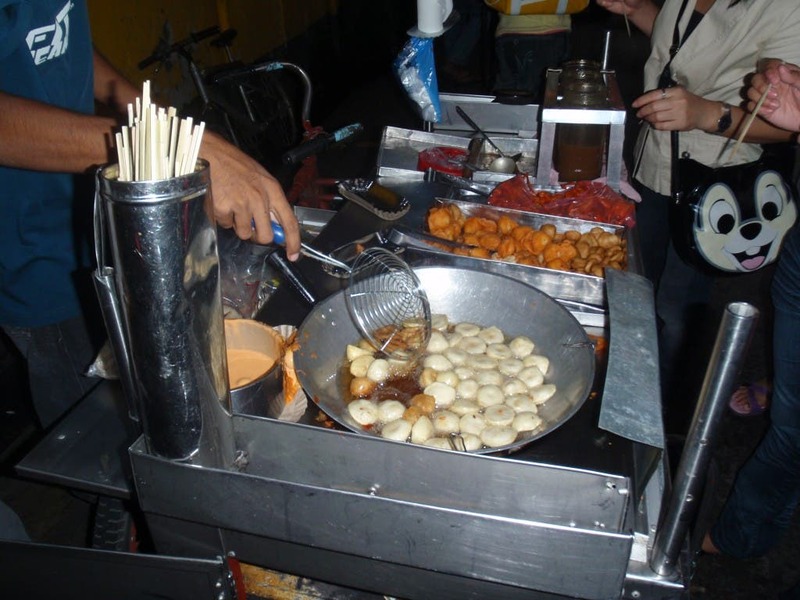 Jariza and Jarina Tee, formally started their business around August 2012. Jariza Tee graduated with a culinary degree while her sister, Jarina, has also attended several baking classes conducted by Toba Garreth, New York’s premiere Master Chef-Instructor and an award-winning wedding cake designer. They thought of an idea of pursuing their passion towards cakes and sweets so right after college they started baking a few samples and asked their close friends to taste them. Overwhelmed with the positive reviews that came their way, they became motivated to open this made-to-order bakeshop: The Sweet Jar. The Sweet Jar has this captivating difference that always amazes everyone with its smooth and creamy trademark taste and texture. They use non-fat milk as a healthier option and also lessen the use of sugar, so that their cakes and bars do not taste too saturated. Moderation is the key as to why most of their products are so appealing to the taste buds of sweet lovers. Jariza verbalized that they wanted to create a sweetness that isn’t too intense to avoid that scratchy feeling down the throat. You can notice this in their cakes and cupcakes. Mazza Shawarma: ‘Mazza’rap na, ‘Mazza’ffordable Pa!